We get many emails from people who are looking for tent replacement parts. 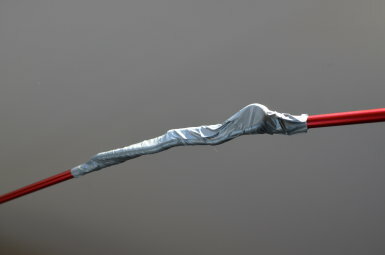 It seems a shame to throw a good tent out because you can't find a replacement tent pole, rain fly or tent pole connecter. Below are some key links to other websites selling tent replacement parts, such as Coleman, Texsport, Wenzel, Cabela, etc. If you can't find the tent part you're after then use our reader's forum to post your question and hopefully someone will know where to find the replacement part for you. One option for tent pole replacement is to buy a similar size and length tent pole from somewhere such as Walmart and then cut them down to the correct length. Keep in mind that depending on the tent age & condition sometimes it can be cheaper just to buy a new tent . Repairing or replacing parts for your tent makes good sense especially if most of the tent is in good condition. If so post your question below and one of our readers should be able to help. Find Replacement Tent Parts or a Tent Repair Question? Comments or questions about tent replacement parts? Post them here. Do you need to find a tent part or have a tent repair question? Ask them here. Make sure to clearly explain the missing tent part or tent repair problem and also provide the tent Brand and Model. I need the top two poles that attach to the yellow y and support the fly. I need a corner plastic piece. Missing TPOL-04...one of the pieces of the shock-corded tent pole broke. Do you know where I can find the frame for the tent; Part number FPTY-111STR? Thanks. Need part number PSET-BKBL and 3WAY-260-1. I need a Ridge Elbow Section, it is part #3. Does anyone know where I can get this part? I need four way hub for tent above. I am trying to purchase 1 replacement pole for Model #WMT-139084 polyester dome screen house part #LPOL-193BK. I am looking for the sort of star shaped piece that connects all the tent poles. it sort of looks like a star fish. please help? I'm trying to find the second 'Center Yolk' of my tent! Can't seem to locate one on the Internet! I am looking for the pole that goes in the window to extend it out. I need the center piece that holds the poles at the top of the tent. Black corner on two corner is broke, part # FPTY - 111STR how do I get replacement parts? I lost the rain fly for this tent, and I just will like to know if I can get another one and how much is the cost to replace it. Thank you. I'm looking for a replacement rain fly for a Swiss gear tent model 36131. Need replacement poles for my Greatland Outdoors tent TGT-1514 . Does anyone know where you can find a replacement rain fly for Ozark Trail tents? Ozark Trail 16' x 16' Instant Cabin Tent, Model# WMT-161682B. I am looking for a rain fly for both a 4 man and single man Blanchard draw tite tents. We bought a used tent but it is missing some poles does anyone know where I can get some? Frame Part # FPTY-111STR Looking for plastic connector on top of corner leg. Purchased 16x15 2 room dome tent with screen porch but has no rainfly. Does anyone know where to buy replacement part RFLY-04 ? Does anyone know where I can get replacement rain fly poles for the Alps Mountaineering 3 room meramac tent? Thanks! Need to replace 2 poles. Picked up a huge free tent but has no poles. Greatland brand. Having the darnedest time finding any help online. I have a screen tent.. About 12 x 12 and 6 legs need new bungee cord connections. 3 of my top legs are bent. Is the some way to order replacements?